"Every dress has a story. 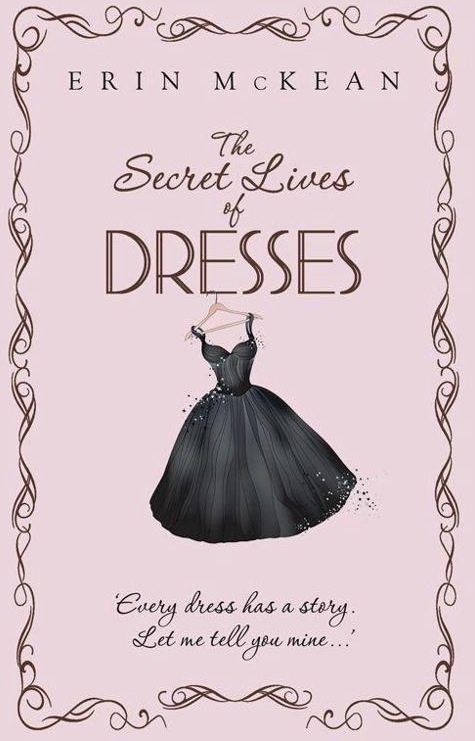 Let me tell you mine"
If you love vintage collections, particularly dresses, then this book is for you. 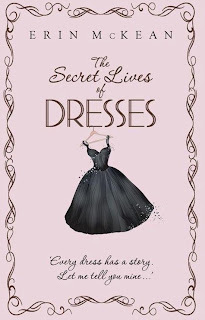 The Secret Lives of Dresses by Eric McKean is the second e-book I finished in my iPad. I've been loading my iBook with plenty of fiction titles over the past months. Problem is, I don't have the luxury of time finishing everything. Even my paperback purchases are accumulating again. Sigh.. I miss those days when I can discipline myself of purchasing one book at a time. The book related the story of Dora, Mimi and the dresses in the vintage shop. Dora is a college student who dabbles in the university's coffee shop. Apparently, Dora is secretly inlove with her boss, Gary, a graduate student from the same university. Mimi is Dora's grandmother and guardian, who took over the role of her parents. Mimi owns a vintage dress shop, which has become her own outlet for passion and livelihood. Mimi became seriously ill and being her only family, Dora was forced to return home. She left the city to take care of Mimi and the vintage dress shop. When Dora started to manage the shop, she discovered pieces of creative and handwritten stories inserted to each vintage dress. As it appeared, Mimi was crafting unique stories to every dress in the store. As the story progressed, Dora will soon discover that one great handwritten story which will settle a lot of issues about her life and family. Dora's journey back home will also make her realize what she really wants in life and eventually meet the right man.... aside from Gary. I wanted to tell them that the dress is not the marriage, it's only the part of the doorway to the marriage. We're liminal; boundaries, not countries. It's selling history and glamour and experience... and all sort of things that can't be put on a hanger. People sometimes think clothes are superficial and shallow. But for my grandmother, they were very deep. She wasn't selling something to wear, she was selling something to be. We think of things as belongings to us, but we don't realize that we belong to our things too. P.S. This is my 300th post.. Hooray! Seems like a good read! I rad a book a few months ago about a vintage dress store called A Vintage Affair! It was pretty good. Thanks so much for linking up! The story seems interesting, I'll include this on my list of to-be-read books. It's piling up now like yours haha. Vintage has a way of stirring curiosity. The cover of the book looked vintage itself. Congratulations on your 300th post! I think I'm almost there too. Your book review is charming..it's fun to read something other than our usual reads once in awhile. Congratulations on your 300th post! I love vintage clothes precisely because they have a story to tell, and handmade clothes, because there's so much love that went into the garment. Not yet.. Kapareho ng story line?